Marketing automation has emerged as a hot category. The last year saw some exciting developments with Oracle’s acquisition of Eloqua, Marketo’s IPO, and Salesforce’s acquisition of ExactTarget and its subsidiary Pardot. We’ve also seen newer competitors like Act-On scale and Hubspot continue to mature its marketing automation capabilities. To help Dreamforce attendees interested in marketing automation have more in-depth vendor conversations, we decided to pull together a quick snapshot of what our members are saying about the vendors exhibiting at Dreamforce. The order of vendors listed below is alphabetical. Please note that Treehouse Interactive is omitted as we don't have any reviews about them yet. Act-On positions itself as Marketing Automation for the Fortune 5,000,000 and has been successful in rapidly developing a large client base. It's very well rated on TrustRadius and considered a very good value all in one solution. Users like its methodical approach to helping you create automated drip email campaigns, its lead scoring capabilities, visitor tracking/analytics, and integration with Salesforce.com. It also leverages templates effectively for ease of use. Areas for improvement include more flexibility in templates, more robust lead scoring models, more advanced social media integration, improving the HTML editor. 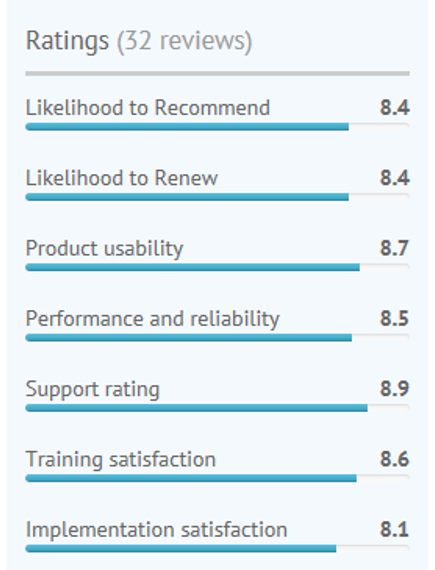 Some also feel reporting, integration for Webinars, the survey module and email deliverability need improvement. Marketo is a leading marketing automation product with distinct offerings for SMBs and mid-large enterprises. It's well rated on TrustRadius and users feel the product has very flexible lead scoring, offers fine grained control for segmenting, and has robust workflow for nurturing campaigns. It also helps with data hygiene and provides useful engagement metrics. Landing page creation and testing capabilities are considered good and its Salesforce integration strong. The Sales Insight module is considered a big plus for sales teams, and the addition of the Revenue Cycle Modeler module enables more robust analytics/ data visualization. 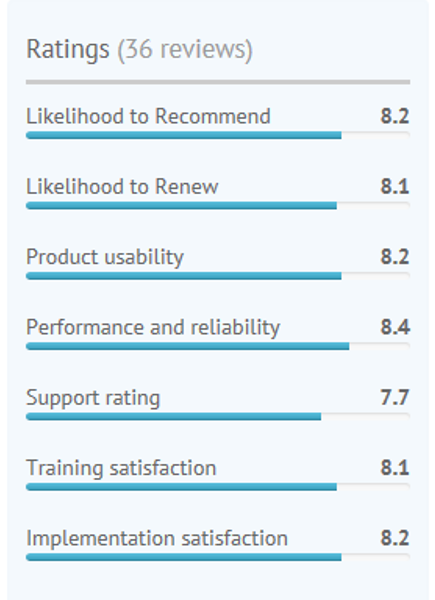 Power users highlight several areas for improvement. Its reporting is not at strong as Salesforce. In particular, the reporting from the Sales Insight module is limited. There are no dashboards without the Revenue Cycle Analytics module. Security is not as robust as in Salesforce.com. For example, you cannot report on who changed objects and lock down specific fields. Some feel that the email editor is not sophisticated enough. Pardot is now part of the Salesforce family, post its previous acquisition by ExactTarget. It too is well rated on TrustRadius. Users feel that it does a good job of lead scoring and tracking social media activity alongside web and email. It also handles drip campaigns well. The UI is clean and easy to learn. Help documentation is strong and users like the ability to chat with support from within the tool. It has good connections to external services including Google Analytics, Webinar providers, Wistia for videos, and Eventbrite for events. The integration to Salesforce is reasonably strong. 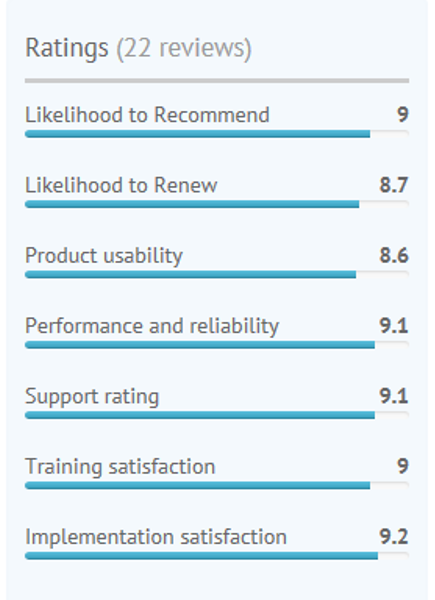 Users highlight a number of areas for improvement. Reporting is a challenge even with the OEM analytics from GoodData. Email creation can be kludgy in particular for re-using/editing emails. Users would like more customizability in forms/ landing pages. Drip logic is considered less granular than Marketo and integration to Salesforce not as strong. Social connectors could also be more robust. Silverpop offers email marketing and marketing automation products, among other digital marketing solutions. It's Engage marketing automation solution is less well rated on TrustRadius. Users like its intricate and flexible lead scoring and support for dynamic content. The solution is considered pretty user friendly. Email deliverability is considered strong. It also has an extensive API for integration. Power users love the Programs functionality. 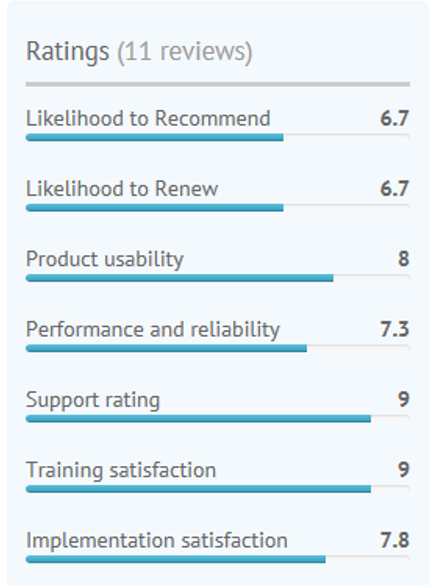 Users highlight a number of areas for improvement. Emails can be delayed if you get stuck in a queue behind a larger client. Some report reliability issues including outages. Some state that the product feels dated in many areas and that the WYSIWYG editor isn't great in terms of the HTML it produces. Some also report that Salesforce integration is clunky. There are a number of notable marketing automation vendors like Eloqua and Hubspot not exhibiting at Dreamforce this year. Visit TrustRadius for a list of all marketing automation providers along with accompany reviews.